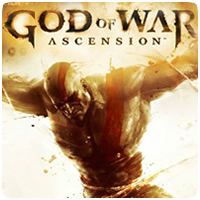 The US Amazon site has a listing for the unannounced God of War Ascension Collector’s Edition of the game. The collector’s edition is listed for $79.99 and includes lots of extras for the $20 difference in price compared to the standard edition, including a DLC pass for future content and a Kratos statue. Unfortunately, the listing doesn’t have a image of the collector’s edition. You can expect a image once Sony officially announces the collector’s edition.